Why is the spring so pretty? Summers are hot! What's the reason? Why does autumn get cooler? Can you explain the seasons? After you read Reasons for Seasons and do the Kids Wings activities, you CAN! What's a bubble? Are they always shaped like spheres? How do you make one last? Why do they pop when we aren't near? Read Bubbles Float, Bubbles Pop and do the Kids Wings activities! You'll see! An island is a pretty place with water around it, you know. But has anyone ever told you that an island had to grow? 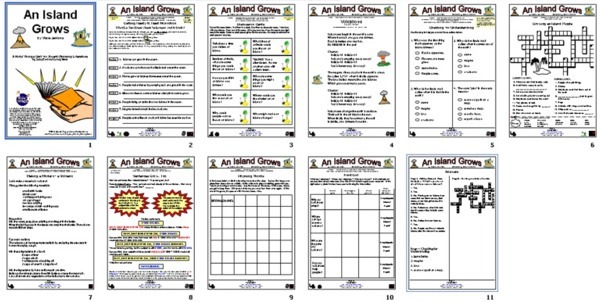 Read An Island Grows and do the Kids Wings activities to watch the growth of an island! How far can you run in a second? How long would it take a snail? How many ants can a lizard eat in a minute? After week, how long is a butterfly's trail? Read Just a Second to find out, and do the Kids Wings activities! How can you make a perfect square? How many sides does must you count? How long are sides of every one? Draw a picture with a certain amount! Read Perfect Square to find out, and do the Kids Wings square activities! 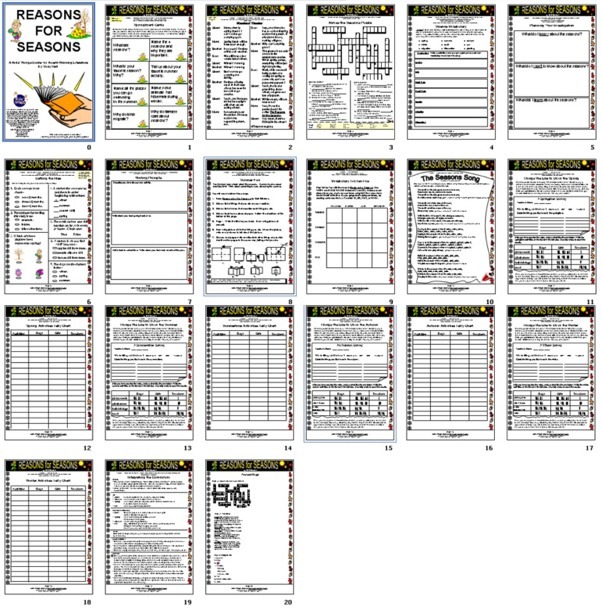 A 20-page literature guide, perfect for lesson plans, handouts, or projection on your electronic board for Reasons for Seasons by Gail Gibbons is part of the Kids Wings Literature Collection, Reading Seeds! 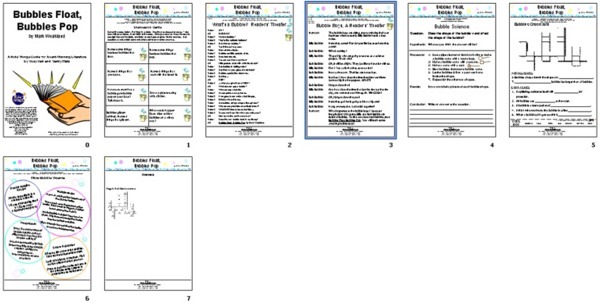 A 7-page literature guide, perfect for lesson plans, handouts, or projection on your electronic board for Bubbles Float, Bubbles Pop by Mark Weakland is part of the 2013 Literature Collection, Brain Boosting Books! A 11-page literature guide, perfect for lesson plans, handouts, or projection on your electronic board for An Island Grows by Lola Schaefer is part of the Kids Wings Literature Collection, Flying Higher! Sentences Grow, Too! A great writing lesson! A 5-page literature guide, perfect for lesson plans, handouts, or projection on your electronic board for Just a Second by Steve Jenkins is part of the 2013 Literature Collection, Brain Boosting Books! A 6-page literature guide, perfect for lesson plans, handouts, or projection on your electronic board for Perfect Square by Michael Hall is part of the 2013 Literature Collection, Brain Boosting Books!